Huper Optik Window Film on Sale! 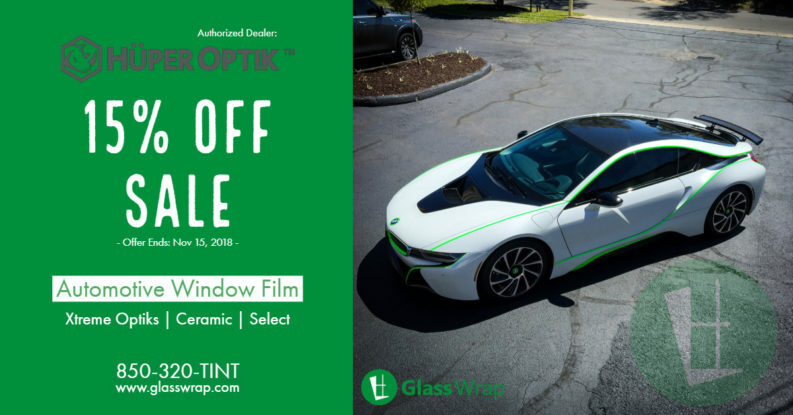 Save 15% on Huper Optik Window Film installations, until November 15, 2018. Choose from Xtreme Optiks, Ceramic, or Select series of window tinting options. Xtreme Optiks Series Ceramic Series Select Series Schedule your next Glass Wrap appointment online! 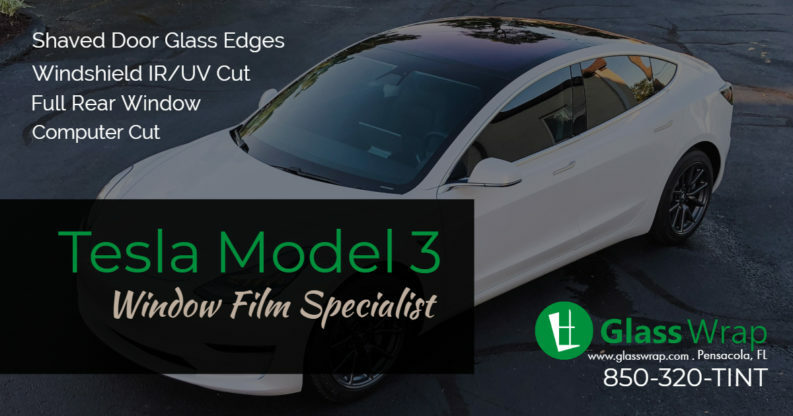 Tesla Window Tinting We specialize in Tesla Model 3 Window Tinting and are fully stocked with several performance window film options. Shaved Door Glass Edges / No Gap Windshield IR / UV Cut Full Rear Window Computer Cut Window Film Call 850-320-TINT or schedule online today, for a personal consultation and estimate!